But it also fills me with excitement and pride at the journey I’ve made over the past year. 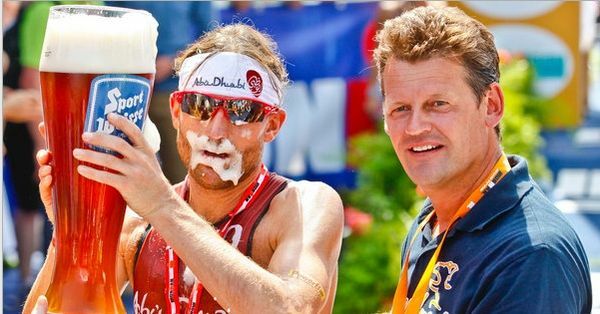 I started Ironman 70.3 in Switzerland last year fairly clueless and utterly petrified. I went into it on the back of two shocking bike legs in two horrendous triathlons which had totally knocked my confidence. Just over 12 months on and I feel in a much better place. I think this is mainly down to working with a coach. Everyone approaches things differently, but I wanted someone to tell me what to do and when, knowing that if I did everything I was told to do, I’d get to the start line injury free, confident and in great shape. I’ve been pushed hard on the bike (I actually got the turbo out of the shed this year) and while it remains my weakest area, I’ve really made the effort to improve. 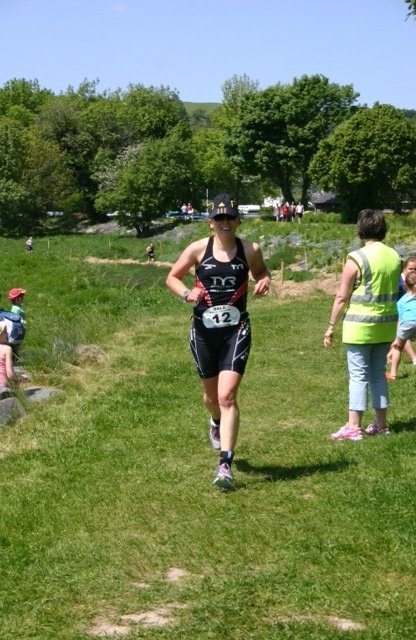 I was pleased with the bike legs at Slateman and Bala middle distance recently and most importantly I felt good coming off the bike and on the run. Due to work hours, most of my training has been done alone. I’ve really missed training with others because it makes me push myself harder. However, I was lucky enough to spend two weeks in the sunshine in La Santa. 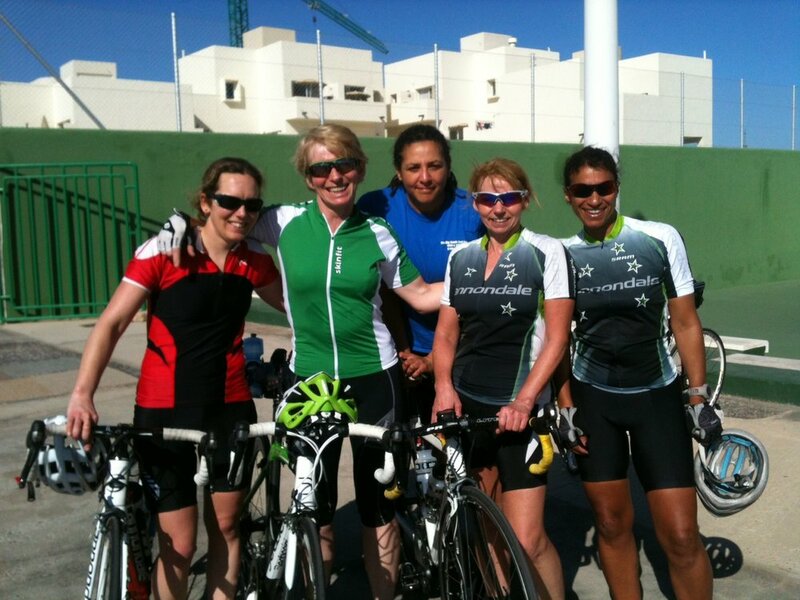 In January I went on the women’s only triathlon camp, run by Tanja Slater. It was a fantastic week, with women of all ages and abilities from across Europe. I loved every minute of it and found it really inspiring. My swimming improved, for the first time I could easily keep up with others on the bike and I came third in the sprint triathlon at the end of the week. My second week in La Santa was in May, when I went on my own and followed a programme set by my coach. It wasn’t as fun as January, but it meant I could knuckle down and get some miles under my belt in the sunshine. I did my first ever 4km swim; firstly in the pool and then in the open water. And I returned looking healthy and feeling really confident. Bad weather aside, the hardest part of training for me has been battling against an almost constant feeling of tiredness. I’ve had to get up at 4.55am every day for work and while I finish early, I tend to feel groggy in the afternoons. I thought the lifeguards would be called into action on a number of occasions on a Wednesday afternoon at the Aquatics centre and some of my long Thursday afternoon runs have been a pure battle of will power. Then there’s the feeling of guilt which doesn’t ever go away. Guilt that I’m always sleepy, guilt that I’ve not been the best girlfriend, sister, daughter or friend I could be, guilt that I’ve not given enough time to others. It’s not a pleasant feeling, especially when I know how much others have done to support me. They’ve hugged me when I’ve been in tears and listened when I’ve been questioning what it’s all about. That’s not even on my mind now. I know I’ll complete every inch of the 140.6 miles. I feel and look fitter than ever and I’m ready to give it everything. I'm proud that I'll be competing alongside my brother and two great friends. And I can’t wait to come down the finishing chute to complete this incredible journey with my parents, boyfriend and friends there to witness it all. Now get that beer chilling and bring it on!